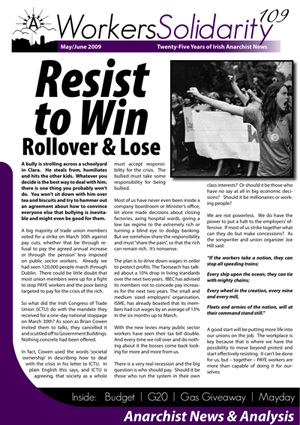 GAAW have published a communique from the group that sabotaged a US war plan at Shannon airport on 20 Dec 2011. This action has been only briefly mentioned in the Irish media as the 'vanadalism' of a plane, we reproduce the communique in full below and encourage others to do likewise. 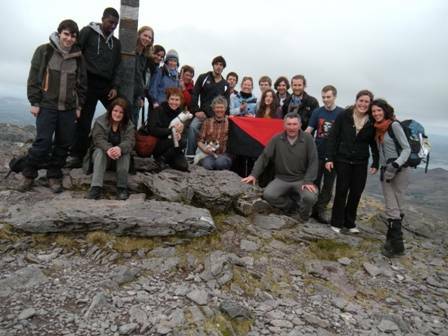 Anarchists, along with the Rebel Hill Walkers and lots of supporters, climbed Carrantuohill in Kerry on Sunday as part of a fundraiser for Solidarity Books in Cork. Guided by the esteemed and experienced James McBarron, the large group set off shortly after 11 am. A number had to turn back for health reasons, but the majority headed on to establish ‘base camp’ under the summit at around 3.30 pm – delays and picnics were the order of the day – ahead of the final assault on the peak. They got us into this mess but now they want us to pay the price for it too! With the economic crisis now in full swing, anarchists are arguing for fundamental change and an end to capitalism. How can we achieve this and how should the new society be organised?